Flatland Forward Submission Cut Off Soon! If you registered for our contest last year don't miss out on getting your video submission in. Fourteen prize packs are waiting to be sent out! Submissions have been coming in over the past few days in each class and will close the end of the day this friday! (October 31st!) Even if you have not progressed in your riding as much as you may have liked, don't skip out on sending in a video that may land you some free flatland goodies! If you are wondering how to be apart of this contest and you didn't register for it last November, we're sorry that you missed out! 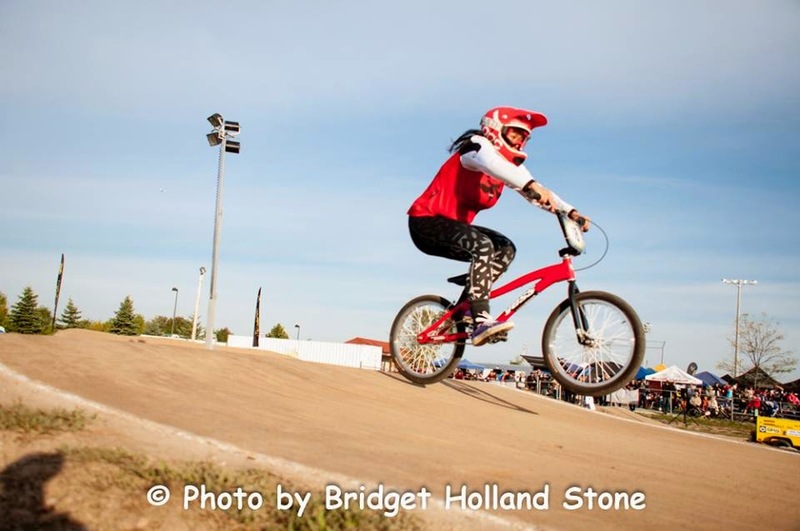 This is a first of it's kind, progression contest for female flatland riders to get flatland bike parts out to ladies showing growth in their riding. 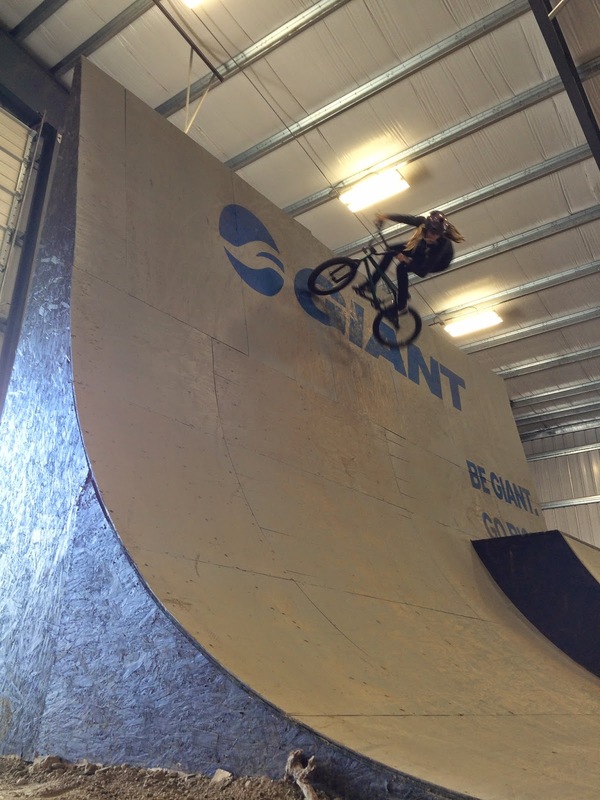 Many riders around the globe have been pushing their riding to learn some new tricks. 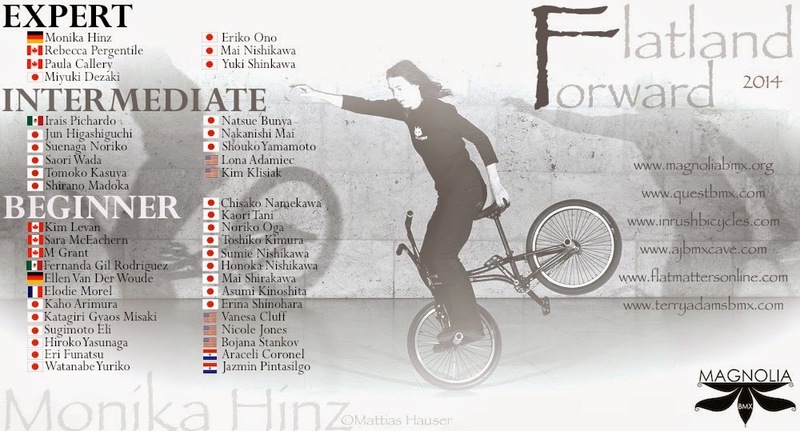 Only ladies who registered for it last November may participate in submitting an edit of the new flatland tricks they've learned. If you missed out on this contest, follow MagnoliaBMX and don't miss out on our next contest or giveaway. For the ladies who have registered, remember to send your submissions in before the end of Friday. Submissions are already coming in and no exceptions will be made past October 31st! Help the Elite women raise money for equal payout this year at the 2014 Grand Nationals. 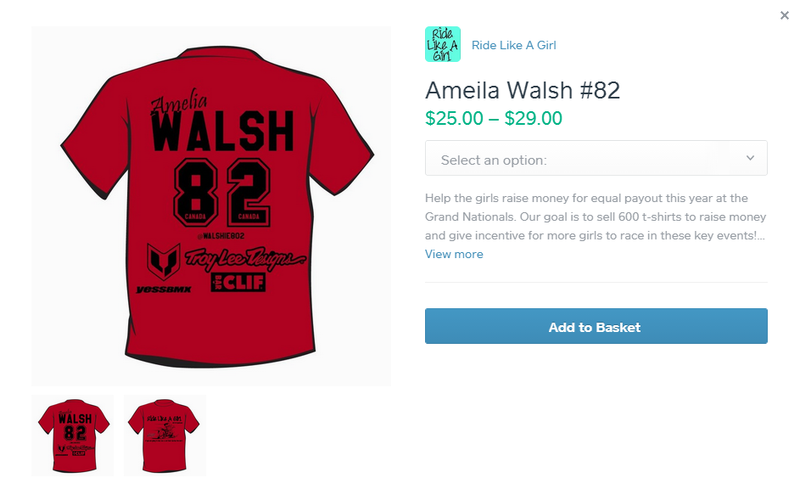 Our goal is to sell 600 t-shirts to raise money and give incentive for more girls to race in these key events! Your t-shirt will be delivered at Grands in Tulsa, OK on 11/28/14. All shirts needing to be shipped will be sent out by November 1st. Thank you for your support and remember we would like you to wear them proudly on Saturday night's Pro Spectacular. 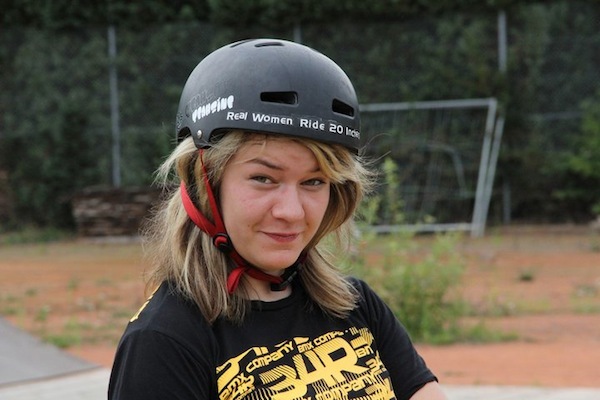 You may have heard some buzz about a documentary that's coming out called Sisterhood of Shred, so we took the liberty to reach out to Meg Valliant for some more information on this project. Tell me about the birth of Sisterhood of Shred. Who was involved and what was the initial motivation behind it? The initial motivation for The Sisterhood of Shred documentary began with a short segment that I shot of Kat Sweet (Sweetlines) getting a tattoo. At the time my only intention was to make a short edit with the footage. I felt it was important because the tattoo represented her community; her Sisterhood of Shred. 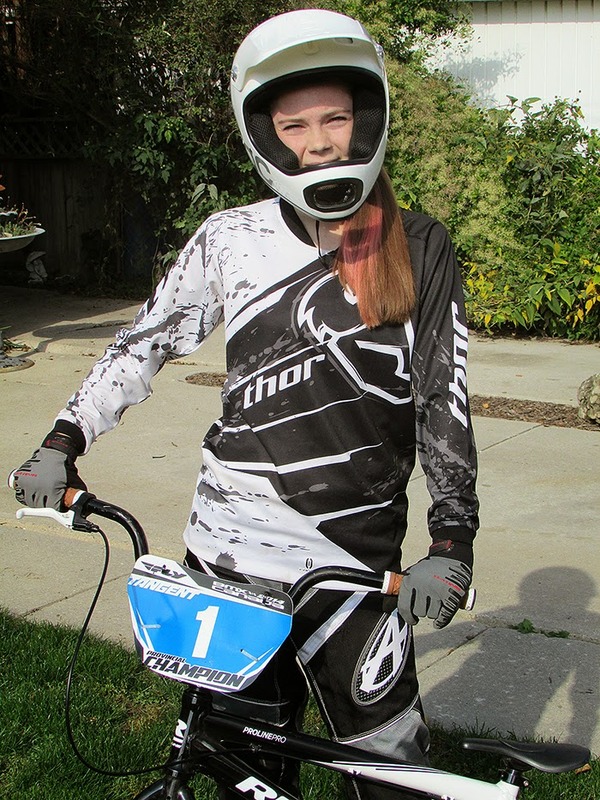 I knew what impact this riding community had on myself and had learned what it meant to Kat. 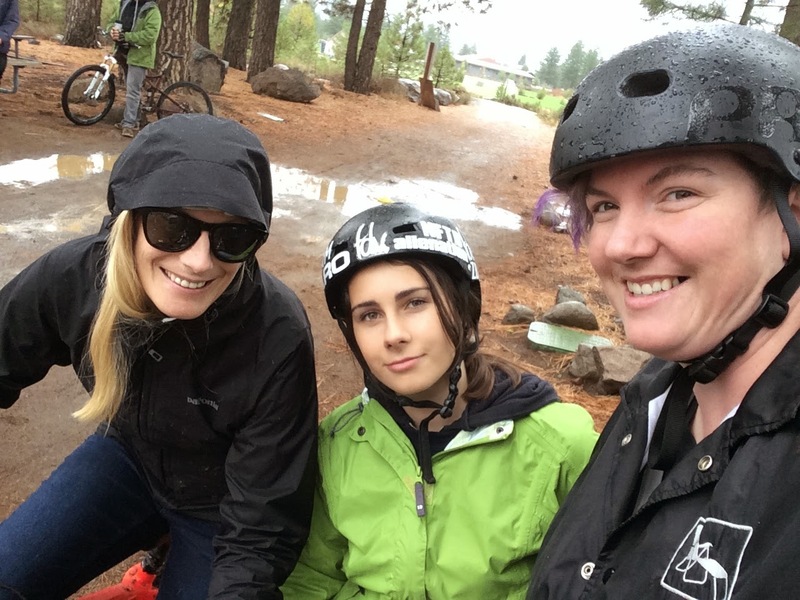 While filming the tattoo segment my curiosity of what riding meant for all the other women involved grew. That really launched the film into a larger project. What will the format of the documentary be like, will it be one long edit or will we get to know more about the individual riders too? We are shooting a feature length (90 minute) film. There will be riding segments through out the film however our focus is on the individuals. There will be lots of interviews as well as lifestyle moments, such as careers, motherhood, art, hobbies and trail building. It will be a chance to get to know some of the many ladies involved. How did you select your riders? 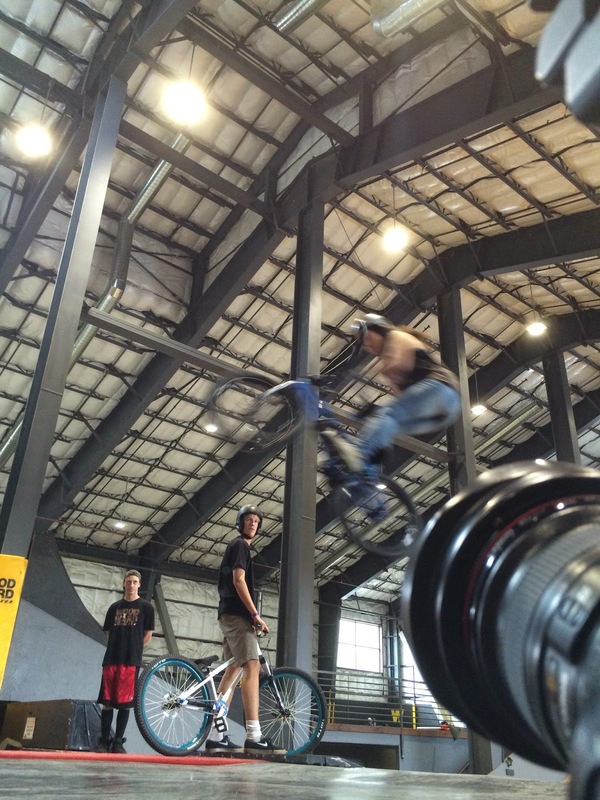 Majority of the riders in the film are attendees of the ridestyle events (we've covered 4 events). Right off the bat I wrote up a list of riders that I knew had interesting stories to highlight. They covered all ages and walks of life. 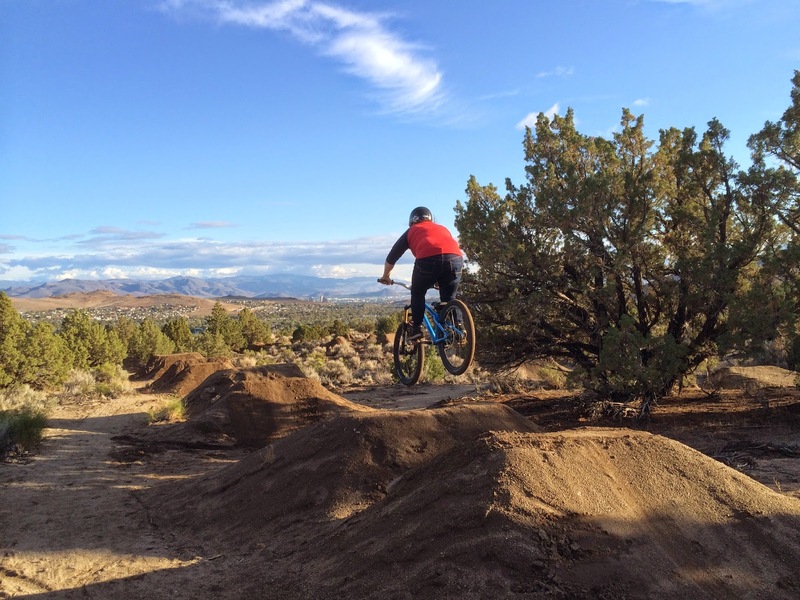 Initially we started with riders who were already involved within the community knowing this would change as the project began to fill itself out. Since then, filming has moved along and life stories have emerged -we have changed or added to our original list. We have also expanded our short interviews to cover more riders whenever possible within the story. Nikita in action with a double bar spin. 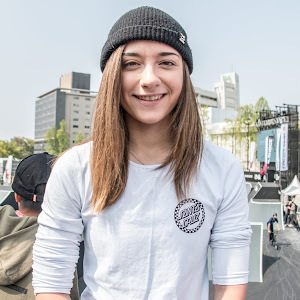 Is Nikita the only BMX girl you have in the documentary, and what can we expect to see? 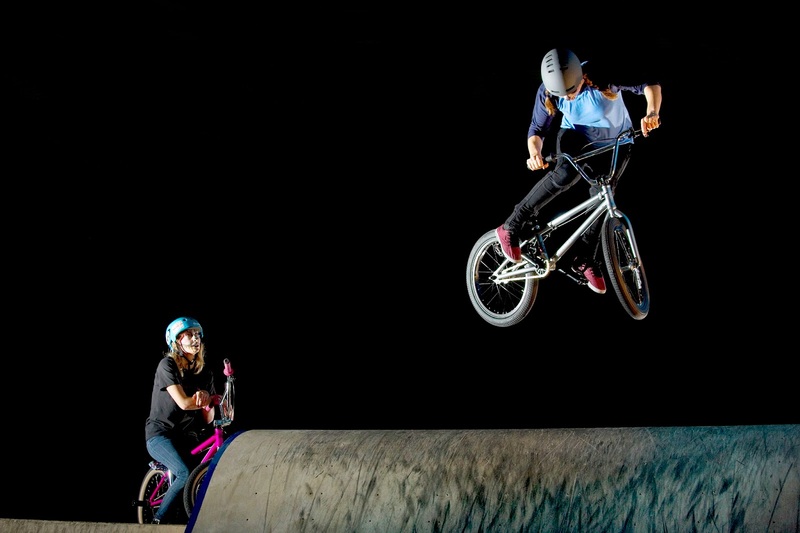 Nikita and Cory Coffey are the BMX girls highlighted in the film at this time. 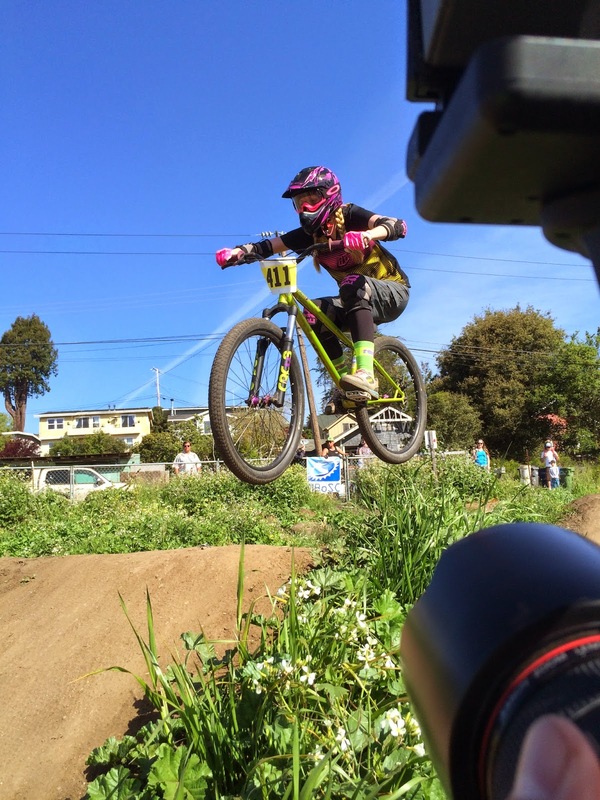 In addition to multiple interviews you can expect to see them riding dirt jumps, trails, skateparks, event coverage and coaching. It has been a cool opportunity to film with them especially as my roots come from BMS. 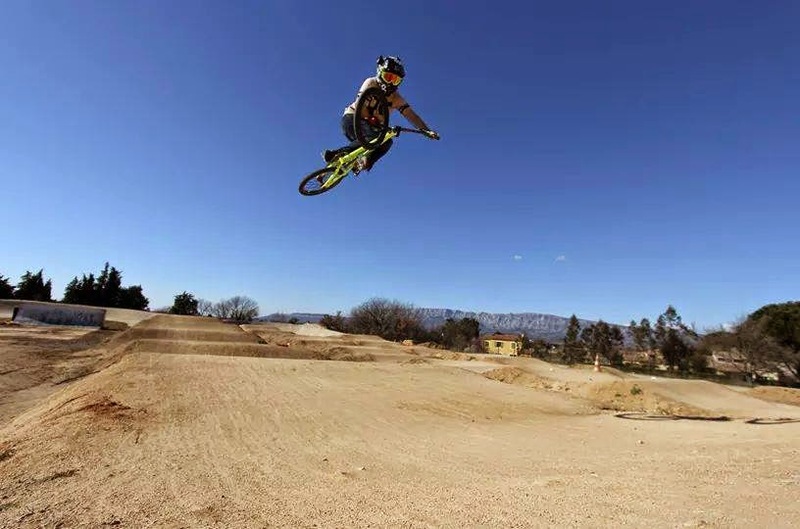 Plus it's awesome to see MTB and BMX come together. We are anticipating a spring 2015 release. We are seeking distribution and would like to release to streaming sites such as Netflix, Amazon & iTunes. We have been offered multiple opportunities around the world for screenings when the time comes as well. What have been some struggles you have come across shooting? There have had many struggles: weather delays, last minute scheduling changes, injuries, funding delays... The list goes on. However the biggest struggle shooting is with the growing story; I wanted to film with and include everyone in the movie! It is amazing how many ladies have come out of the woodwork since we've started this project. I wish I could fit everyone into one film. I have decided to continue working on the project to recognize more riders after the film is completed. More details will be available once the film is in it's final stages of production. On a personal note: juggling my time is a huge hurdle in this project. I have 2 young kids, a husband, a career as well as ride time and event organizing. Unfortunately there are days when I have to set this project aside to make sure that all my responsibilities are being met. Have you received a lot of support and funding, if so who? We have received a lot of support from around the world! Emails, social media tags, press, phones calls, high fives from strangers on the trail, so much support! There are so many awesome people and companies who've helped us through out production and with our funding! Joe Towey, Koerner Camera Systems, Sweetlines, Joby inc, Kathy Rogers, RideSFO, Lauren Heitzman, Mary & Paul Hanks, Karen Omodt, the Praly Family and to many more rad people & companies to list here! For a full list of cast, crew, sponsors, backers and locations check out our website at www.thesisterhoodofshred.com. (from my set selfies), Cory, Nikita, and Meg. I’m stoked to share this article with you guys from Chatham Voice, of a rider that I’ve raced against this past season. Meet Charisma Markovic, she’s the most optimistic person you’ll ever meet! Defesta Trip @ Rosario - Rio Cuarto from Mikeila Pelayes on Vimeo. Check out this new edit, starring Rebecca Berg, Camila Harambour, Mikeila Pelayes, Analia Zacarias and Allison Lopez. Most definitely a great start! With today's exchange rate, that's $92464.230 US Dollars, WOW! 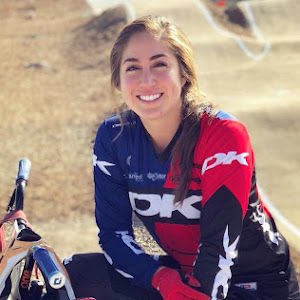 Caroline races her way onto the podium in the last stop of the UCI BMX Supercross World Cup season in Chula Vista California. 2014 was a very successful World Cup season from Caroline. Starting off the year winning the first stop in Manchester and then went onto place 4th in Holland, 1st in Berlin, 7th in Argentina and with a large points lead placing 2nd in the last round in California and securing the overall World Cup Title. 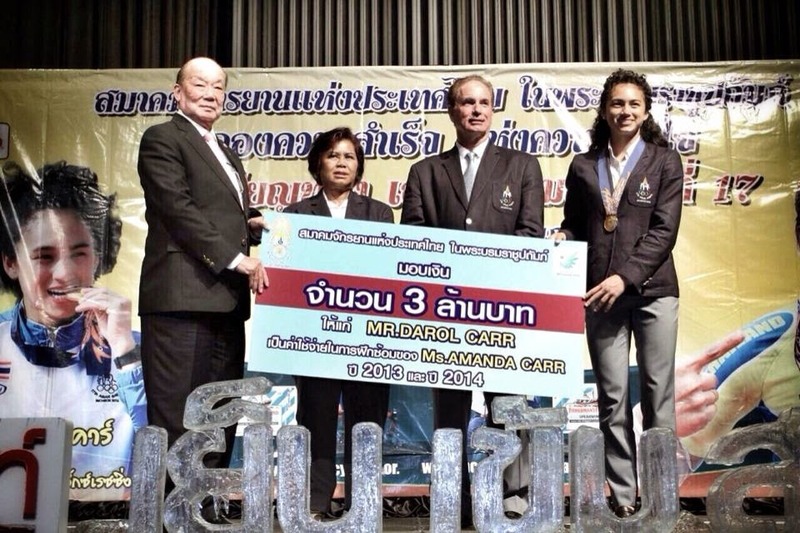 Olympic Champion Maraina Pajon wound up the year in 2nd place ahead of Olympic Bronze Medalist Laura Smulders in 3rd. Stay tuned for the final episode of #BUCHANANonAir coming soon with a whole 2014 season wrap up, plenty of lifestyle content as well as a teaser of whats to come and a sneak peak of unseen #BUCHANANonAir footage that will be airing in a one hour TV package on FOX Sports. 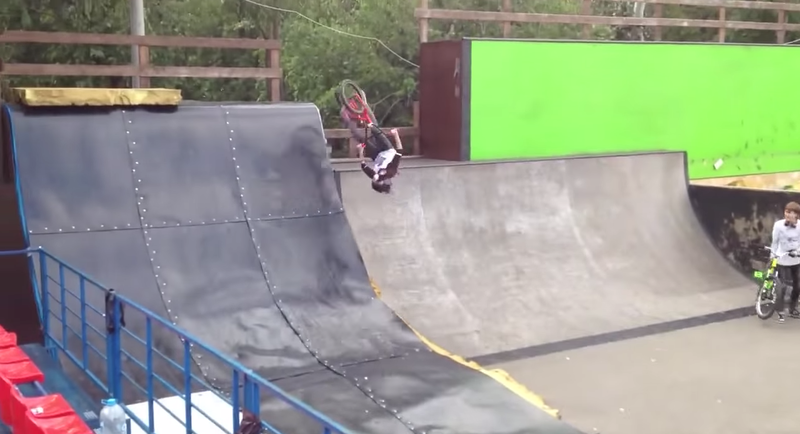 Just a quick update on Milton Nationals and my weekend trip to Highland Mountain Bike Park. Twas fun. If you want me to do a VLOG on just Highland and what it was like, leave the request in the comment box below. "From finishing 2nd in the British Women's series, to hitting the famous Peynier "Kill the Line" trails, descending Mt Ventoux on a BMX, and supporting the launch of the "Ride Like a Girl" campaign....2014 has been amazing. Thanks to all my sponsors & friends for a great year!" 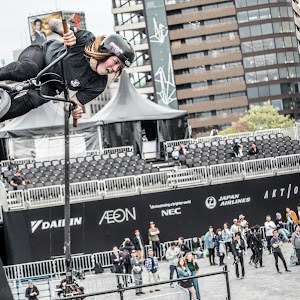 It's really cool to see how quickly girls in BMX are progressing all over the world. Check out this short edit of Faina Arsentyeva throwing some flares into resi. By the way, this girl was born in 1995... I feel old. We don't typically post on Sundays but when we do you, you can bet it's awesome. 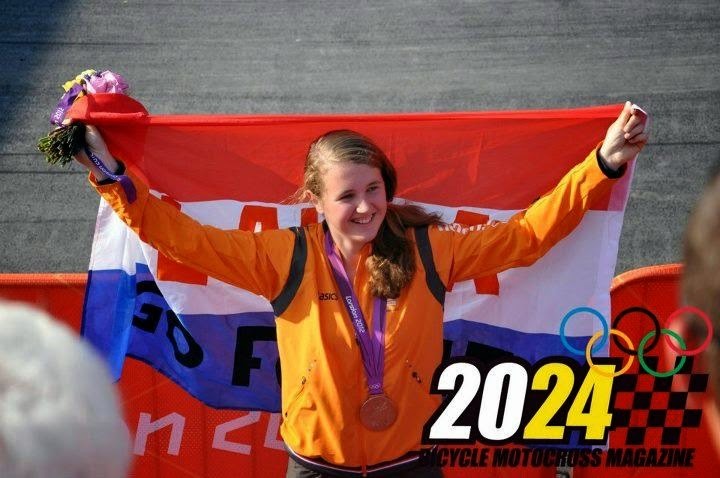 Corinne Walder just posted up this short documentary on Dutch 2012 BMX Bronze Olympic Medalist Laura Smulders. Could be everything you've ever dreamed from Corinne Walder on Vimeo. To see more Amanda Carr updates, be sure to check out her Facebook page. 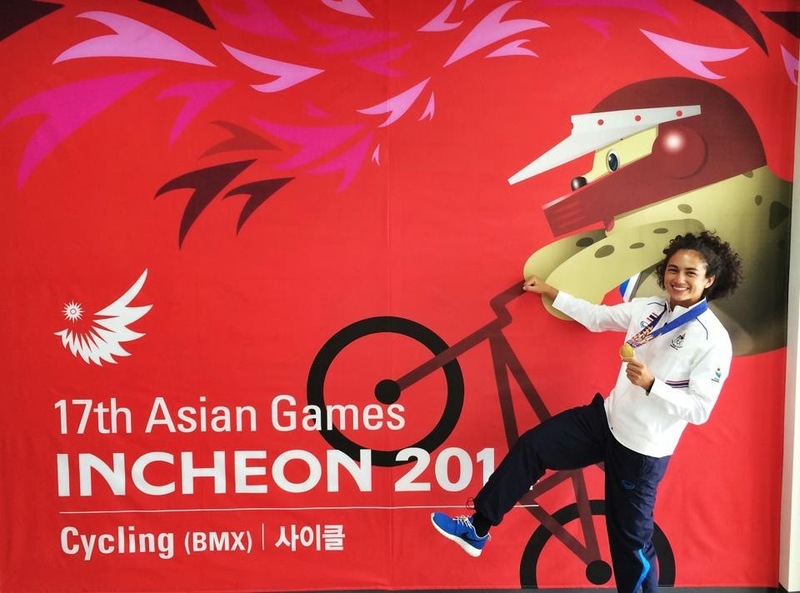 It's also where you can see the moto that won her gold! Holy FIT DVD out now! Four years in the making, our fourth feature-length video, HOLY FIT, comes with a limited-edition 200-page hardback book featuring full-color photos of the making of the DVD.